If you heard Hillary Clinton's interview with New York Times columnist Nicholas Kristof at the "Women of the World" summit (put on by Tina Brown Live Media), you probably wondered how somebody so obviously unhinged from reality could have come so close to being president of the United States. Kristof asked Mrs. Clinton to reflect on why she lost. But it is fair to say as you just did that certainly, misogyny played a role. That just has to be admitted. And why and what the underlying reasons why is what I’m trying to parse out myself. I would just say this: There is a constant struggle — and not just women, women and men — in a time of rapid change, like the one we are living through, between something that is different that may hold out even possible positive consequences, and something that is familiar and something that really is first and foremost about security of what you have right now. And I think in this election there was a very real struggle between what is viewed as change that is welcomed and exciting to so many Americans and change which is worrisome and threatening to so many others. And you layer on the first woman president over that, and I think some people — women included — had real problems. At this point, it’s safe to say that Nimrata Randhawa has a far, far better chance to be the first female president of the United States than Hillary Clinton. But here’s the question: When or if Nimrata (she goes by “Nikki”) — a conservative, Indian-American daughter of immigrants who married Michael Haley, became governor of South Carolina, and is now the U.S. ambassador to the United Nations — wins a presidential election, will Hillary’s friends and supporters hail Haley’s ascension to the White House as a tremendous achievement for women? Will the fans of intersectional feminism laud the ultimate success of a woman of color? Not likely. At this point, we all know the drill. There is one way and one way only for women — especially black or brown women — to take a true step forward, and that’s through progressive politics. Identity politics works like this: Progressives do everything in their power to explicitly and unequivocally stoke race- and gender-related resentments and grievances. Any pushback against identity politics is labeled denialism at best and racism or sexism at worst. Progressive ideas are so self-evidently superior that opposition is best explained as grounded in misogyny or the always-reliable “fear of change.” Opposition, even from women and even from people of color, is proof of the awful and enduring power of sexism and white supremacy. 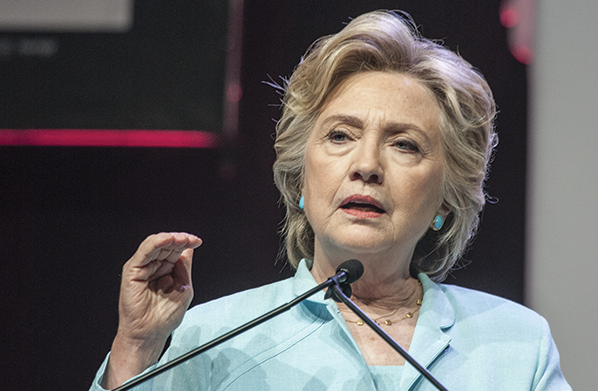 It’s understandable and human that Hillary would point the finger rather than look in the mirror, but if her side wins the argument, look for Democrats to do their dead-level best now and in the future to inflame race- and gender-based grievances. They will tell millions of Americans that the color of their skin and their “gender identity” should dictate their thoughts and beliefs, and that opposition isn’t based on reason or logic but rather hate and fear. Here’s the thing, though — that destructive narrative is so powerful that, next time, it might just win. If it does, Democrats will feel vindicated, triumphant liberal culture warriors will redouble their assault on conservative ideas and institutions, and the national fabric will continue to fray.